Over the last five years, we have sponsored an annual How Kids Learn conference. This year, we are sponsoring a number of How Kids Learn Speaker’s Forums. Temescal Associates/LIAS is proud to announce that we have created a new non-profit entitled, the How Kids Learn Foundation. This was done to expand our reach and the effectiveness of our educational efforts. This will also allow us to diversify our funders. The HKL Foundation is dedicated to improving the effectiveness of settings that support the education and healthy development of youth. This includes schools and out-of-school time programs. The Foundation will provide educational activities such as Speaker's Forums, trainings, and conferences for organizations that promote the healthy development of youth. We have assembled a prestigious board to help guide our activities and will provide an update as we go forward. 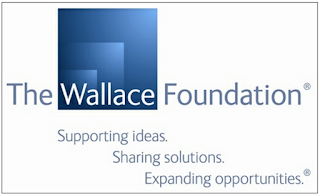 The Wallace Foundation has been a longtime supporter of the afterschool movement. The Foundation is currently conducting market research to better understand Policymaker, K-12 Public School Leader and Afterschool Leader opinions about trends relating to desired outcomes of K-12 education and afterschool programs. They are especially interested in the importance of social emotional learning. who understand the work of afterschool and summer programs provide their unique perspectives on this work. This survey will take about 15 minutes to complete. Your responses will be strictly confidential and not be attributed to you or your organization. To begin the survey, please click here.